PDCC has held long term aspirations to develop a facility dedicated to road cycling in the Peel District. 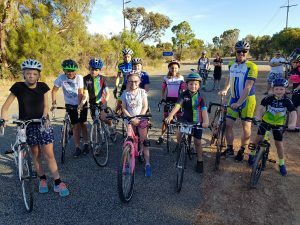 Recently we have been in discussions with the Perth Motorplex to develop a regular training session that allows us to train our Juniors off the busy roads. On Tuesday 27th March and Tuesday 3rd April we will be conducting a trial on this concept with aspirations to develop this into a regular training session at least fortnightly. This is our first step to our dreams. Unfortunately, the venue comes at a cost, so the club will be looking to recoup these costs only. If successful we could possibly have a long term home and begin to develop our club. Junior Training will be transferred to these dates for the next 2 weeks.